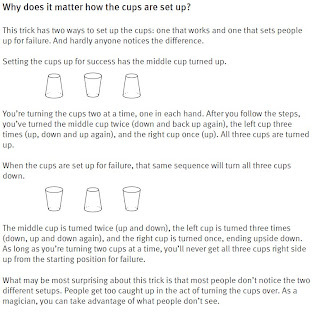 This is a simple easy to do trick using cups. 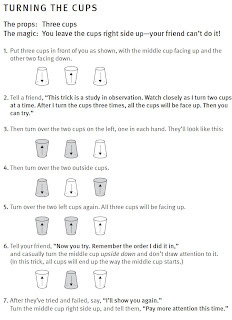 The magic: You leave the cups right side up—your friend can’t do it! Click on the image below to see the trick. Click on the image below to learn the trick.